A welcome center at a church serves as an essential space to get to know visitors, a private space to pray, and to serve as an area to showcase upcoming events. 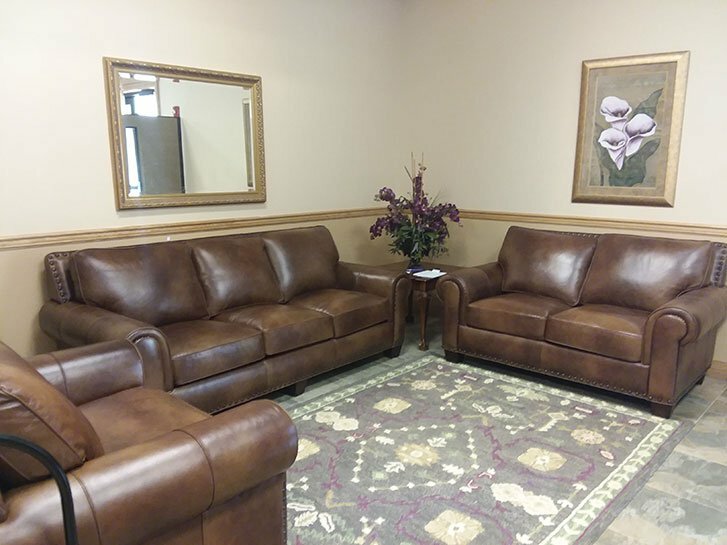 Murdock Baptist church needed a way to create this semi-private welcome center in their existing atrium. 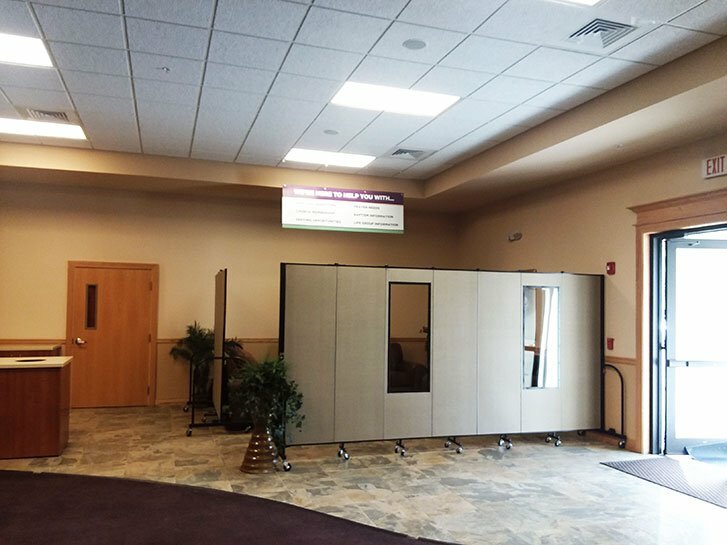 Our sales staff worked with the church staff to find the right room dividers for their space. Large fabric samples and design plans were sent to the staff for review. “Thanks to Ms. Lourdes Morales for her perseverance and kindness in assisting us. 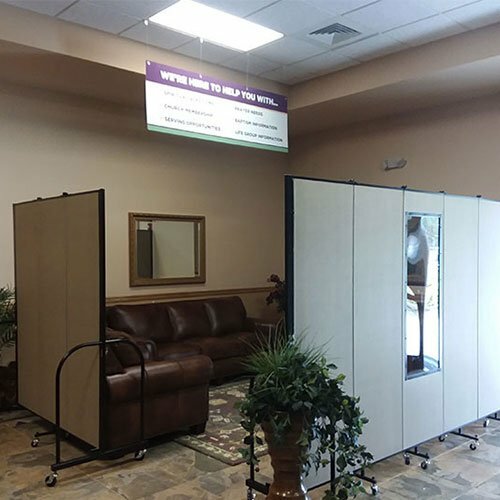 The room dividers turned out great and are serving their purpose.” To make the space more inviting windows were factory installed to allow light and vision into the welcome area.